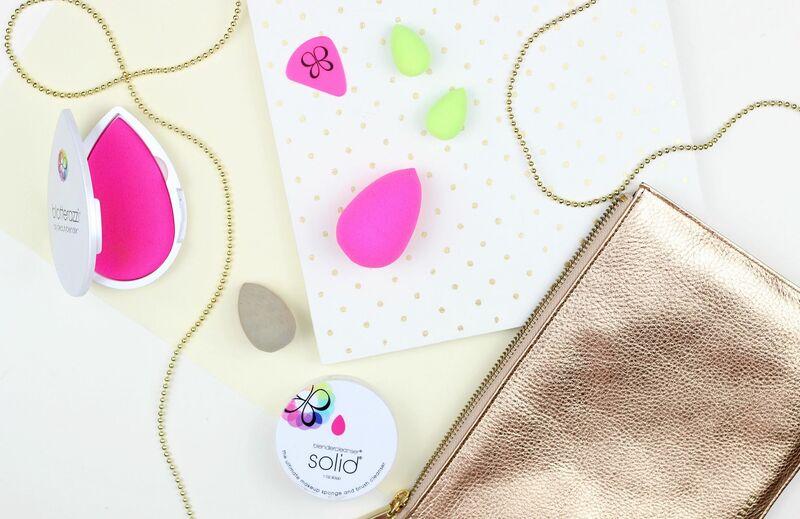 If I had a pound for every time I told someone they needed to get a beauty blender… there’s just something that sets that little pink sponge apart and it takes your makeup game to the next level. Designed by celeb MUA Rea Ann, the beauty blender family has massively expanded, and I thought it was good to quickly run through all of the products BeautyBlender has to offer. The classic. It’s iconic! What did everyone do before the little egg-shaped sponge? Designed with a super-soft material that expands to double the size when damp, the blender is really good for applying liquid products because it doesn’t absorb everything. I love using this to do a full face of makeup, and it’s something I use everyday. Used damp, it’s perfect for foundation application all over, blending in concealer, setting the under-eyes with powder… After seeing how it makes foundation look on my skin, I was converted. Basically, a half-sized beauty blender. This one is designed to be used nicely with cream blush to perfectly blend it onto the apples of the cheeks. It also works nicely with cream highlighter, but I find it really does a good job of blending concealer under the eyes because of how tiny it is. If you have the original, I don’t think you really need this, but if you’re really into cream blush it would be handy to have one blender for base, and one just for blush. Two teeny tiny beauty blenders. These are 1/4 the size of the original, and have been designed to contour and highlight. I think the beauty blusher is more useful than these – they’re just a bit too small for me to use them every day. It’s more of an intricate, 3 hour sort of affair which I just don’t do. This is a completely different sort of product – it’s not even a sponge! The liner designer is essentially a silicone plectrum-shaped tool that helps you draw really neat liquid liner. It acts as a stencil and ensures the line is really straight and symmetrical. This is filed under something I never knew I needed, but now would always like to have it around. This is a solid cleanser in a pot – it’s essentially just like a regular bar of soap, although it does do a really good job at deep cleaning brushes and the blender. Designed to be an easier way to get rid of shine, the blotterazzi is a flat tear-drop shaped sponge that you use dry; you dab onto skin and it absorbs any shin on the face. Rather than using disposable tissue papers or adding more and more powder onto the face, the blotterazzi is designed to leave skin looking fresher. It comes in a compact so you can toss it in your bag, and you get two sponges so one can always be clean. I find it works best to absorb the oil on the face, and then to add a little powder to set everything back into place. Not an essential, but if you suffer from an oilier complexion it would be worth the investment.